Repentance – God's Grace ~ God's Glory! The airwaves are contaminated with information that is clouding the heavens and the earth, shutting out the goodness and glory of the Lord our God. The world is polluted with a poison that spews from the heart, lips, and fingers. Instead of using social media as a place for our secrets, our complaints or our achievements, let us be spreading the Good News of Life in the kingdom of our Lord Jesus Christ. Should there be a difference in what we as Christians make public? How do we determine what we share through social media? These questions led me to search God’s Word for what He wants us to publicize. We will look at four areas: Our deepest secrets and sins; our disappointments; our fears and anger; our achievements. As we scan the following references, let us stop and meditate on those we should heed. Many consider that sharing our sins before the world can make others feel better about themselves. Let us read what our Lord has to say about our sins. We learn from the following references that we are to confess our sins to the Lord. When James 5:16 speaks of confessing our faults one to another, this does not mean the sins of which we have been forgiven. He is speaking of needs in present circumstances when in times of prayer for one another. This might also relate to the confession of faults against one another. If we continue to talk about our disappointments – either from childhood or as adults – about our griefs, and sorrows – our minds and hearts will not heal. What does the Bible teach us about these things? Our comfort is given by the Lord through His Word and His Spirit. Who comforts us in all our tribulation, that we may be able to comfort them which are in any trouble, by the comfort wherewith we ourselves are comforted of God. We see in 1 Thessalonians 5:11 the means of comfort in the body of Christ among believers. Fear turns into anger toward those we think are responsible for the ills and chaos of the world. Social media is the means for many to strike out — to make their anger known. This does not alleviate the problems that cause our distress. It simply causes more upheaval. What should we do as believers, followers of Christ our Lord? Paul wrote the following to the Philippian believers. That ye may be blameless and harmless, the sons of God, without rebuke, in the midst of a crooked and perverse nation, among whom ye shine as lights in the world; Holding forth the word of life; that I may rejoice in the day of Christ, that I have not run in vain, neither laboured in vain. As children of our heavenly Father, we need not boast of our accomplishments. All that we have is of His mercy and grace and for His glory. and thou art exalted as head above all. Dear Father in heaven, search us and know our hearts, try us and know our thoughts and see what is in us that needs to be displaced with your thoughts and words. Forgive us for wasting your time and the talents you have given us; enable us to use the means of communication in this world to proclaim your love, truth, grace, righteousness, and glory. In Jesus’ name, I pray. Amen. This article may not seem to relate to the topic of Contentment, which we have been spotlighting this year, but as we look at what the world offers, we see how people are influenced to believe things that not true, and miss out on the things that are true. We see this in how the “gospel” is presented in different forms that seem to come from God’s Word, but they either leave out a main ingredient, or give what is not relevant to the salvation of the soul. It is through the gospel, the “good news” of the love of God in giving His Son to die for our sins, that He is able to “deliver us from this present evil age” (Galatians 1:4). It is in the power of His Holy Spirit that He convicts us of our sin, and delivers us from the power and guilt of sin. His power is the greater power that within us, frees us and turns us in repentance and faith to a life in Christ that fulfills our every need. Because of a misunderstanding of the meaning of repentance, and whose work it is, many are “turning” to a different gospel which states that “the finished work of Christ” is all we need, and does not require confession of our sin, or turning from it. An example of this “gospel” will clarify how it supposedly works. A few years ago there was a fifteen-year-old boy in our church who was attentive to Jerry and me. At times in our conversation, I would ask him what he thought about the sermon he had heard that day relating to salvation. He told me that he could not accept Jesus because he was not ready to give up his sins. He enjoyed the things a young man enjoys in this world, including his thoughts about girls. I told him that I would pray for him. I continued to pray for him, and a few months later, I was surprised one morning when he and his brother were baptized. Afterward, I asked him what happened to change his mind. He said that his dad told him that he did not have to give up anything, just believe that Jesus died for his sins and be baptized; then, you’re “good to go.” Soon afterward his parents, whose family had been members of our church for five years, sent this “gospel” in an email to all church members, with accusations that our ministers were preaching heresy. My original document has more references. If needful I will do a Part 2. I don’t want to spend a lot of time writing about this controversy, but to go forward and upward in our quest for the kingdom that is ours in Christ. The writer of Hebrews 6:1 spoke of this. A related article, Onward and Upward, was posted last week, which comments prompted this article. Dear heavenly Father, it is easy to be swayed and deceived regarding our relationship with you. I pray that you would, by your Holy Spirit, give new hearts and spirits, birthing your children into your kingdom, so that there is true joy in Christ. Bring conviction of sin and the need for repentance to new life in your Spirit. We need your Almighty power to overcome the false teachings that we hear today. Enable us to grow in grace and the knowledge of our Lord. Let us speak truth by your word and Spirit to lead others in your truth. In Jesus’ name I pray. Amen. It circles, and as it turns, advances a little at the time. Nothing is required for us to move in a downward spiral. A natural downward spiral begins when we are born into this world. Our minds are set on things of this world, which draw us and drag us down. We are unable, of our own volition, to change our direction. Life never stays the same, and nature itself, by its gravity, keeps pulling us to its depths and the impending death that waits for us. Those who are born into a culture that teaches Biblical principles may hear of God’s grace and His means of changing our direction, but we are at a loss to apply these principles in our own power. The Bible teaches us that the direction of our lives change when we are reborn of the work of God’s Spirit in our heart and spirit (Ezekiel 36:26). God gives us a new life through His Son, Jesus Christ, and by the power of His Spirit within us turns us, from the power of the downward spiral. By His kindness He brings us in repentance and faith to Himself (Acts 20:21; Romans 2:4). He continues through this life to bring us onward and upward, and to eternity with Him. There is much more we could say in this short treatise about life here on earth, including sin and evil in this world, which is the reason for the downward spiral. The world has been in this downward deathly movement since the beginning of time, when our first parents turned from their Creator to make and take their own lives, and ours, in a different direction than His. Are you aware of how you are turning, which way your life is going? Do you want to know this onward and upward movement in your life? Do you want to know the power of God’s Spirit working in you to bring you to Himself? No one can do an about-face, turning themselves. Many have tried, but to no avail. It requires the supernatural power of the Holy Spirit working through our spirit to give us a new heart and a new spirit (Ezekiel 36:26) This requires a new birth (John 3:3) which only He can give (John 1:12-13; 1 Peter 1:3). Regeneration, a new creation, and repentance is His spiritual work in us, and what a glorious experience to be turned and moving in the opposite direction from the world. If you have yet to know this new life, I pray that you will reach for God’s Word, which He offers to you. Read the Holy Bible. If you have never read before, begin with the New Testament. Ask for His Holy Spirit (Luke 11:13); pray and pour out your heart to Him. He knows where you are and what you need. Read and pray until He, by His Spirit, turns you to repentance and faith as a new creature in Christ. He gave His life to deliver us from the present evil age (Galatians 1:3). If you have never heard the good news of God’s changing our lives and our direction, and want to hear more I would be blessed to tell you more. You can email me at f.rogers@bellsouth.net. There is oh, so much more of this glorious upward spiral that is ours in Christ through whom we, as God’s children, live. I will end this post by saying that your wedding day will not be the most wonderful day of your life. Neither will the birth of your children be the greatest experience you can know. There is nothing as wonderful as being born of the Spirit of God and living every day in Christ, in light of His promises and hope. It is the most uplifting experience of this life as He is preparing us for eternity with Him. Gracious Father, how can we tell someone what it is like to know you and what life is like as your children? It is impossible to share the width, the depth and the height of your love. You must do the work in each of us. I pray that you would shine your light and the life of Christ through us, and by your Spirit, draw and birth others into your house and kingdom. In Jesus’ name I pray. Amen. This good news was announced on earth to a few shepherds by a single angel, after which a multitude of angels rejoiced, in praise “to God in the highest.” One of the greatest events on earth took place that night. Can we imagine what was going on in heaven? Could it be that after thousands of years of planning and waiting for this day heaven was quiet? Joseph’s purpose and greatness in this life was to serve as Jesus’ earthly father. He attended the birth and accepted Jesus as his own son. But God, His heavenly Father begat Him for an even greater purpose. His physical birth was the result of the heavenly Father’s desiring, and siring, to fulfill all His promises of redemption for His people of every race and nation. Would not He and all of heaven been in a holy expectancy in anticipation of this event with its celebration and proclamation? While the people of Bethlehem may have been sleeping and the world clueless to God’s plans during this historical event, can we not think that God, Jesus’ heavenly Father was present, with the attendance of the angels, for the delivery of His own Son? Would not Gabriel who had announced the conception to Mary been present? And might Michael have been there to keep the enemy at bay? This is only speculation, but surely there was much going on that was not recorded for us. If “the angels in heaven rejoice over one sinner that repents,” imagine what all the heavenly hosts were doing that night when the Redeemer, who has brought that means of repentance, was born. A few were privileged to experience the reverberation that night—from the heavenly Father came the proclamation of new life here on earth, as promised from the beginning, and prophesied through the ages. The shepherds heard, believed, and came to see “that which had come to pass,” and glorified and praised God for all they had heard and seen. The echo continues, as it has for thousands of years. God, the Father is still proclaiming the majesty of His Son over all things, and His love for all His children. For those who hear, Christ is conceived in the heart, bringing faith and repentance. The heavenly hosts are still rejoicing as God, the Father, through Jesus Christ and His Holy Spirit give true life ~eternal life ~ to new sons and daughters. We do not know what happened the night of Jesus’ birth other than what has been recorded in His Word, and passed down through the centuries. We celebrate the season of this birth in many different ways according to our culture and traditions. There are many reverberations heard and experienced throughout the world that have nothing to do with the purpose and truth of the birth of the Son of God. But, in a few, from the hearts of those to whom this truth has been revealed there is an echo resounding, not from speculation or imagination, but from the Father, and Christ, Himself. He is present, and the heavenly hosts rejoice with each new birth. He has made us His children, His family, His people, His church, His echo here on earth, heard not just for one season or another, but for all time and eternity. Dear heavenly Father, as you planned that your only begotten Son would be the first of many brethren, bringing many sons to glory, let us gratefully echo the good tidings that the angels announced that holy night. Fill us with the Spirit of the life of Christ, so that forever He will be glorified in you and us. In His name we pray. Amen. A newborn baby once delivered is given to its parents by the hands of the doctor, a midwife, or a nurse. You would not see this done by only one hand. Similarly, the new birth is not a one-handed event. The two hands of faith and repentance bring the new life to its parents for feeding and care. We are never the same after the new birth, but in repentance and faith turn from our former way of life, continuing to pray, read, study, memorize and meditate on the truths of God’s Word. We are continually growing closer to God, being transformed by the renewing of our minds as He, through His Word and Spirit, conforms us to the image of Christ, His Son. (Romans 12:1-2 and 8:29) We desire to know and love Him more; to please Him in all things; we love the things He loves; we serve and worship Him above all things. Proof of a new birth will be seen as we grow in the grace and knowledge of our Lord Jesus Christ. Physical life does not stop after we are born. We are not left in a crib the rest of our lives. We are fed, and we grow and develop into adulthood. And so, our new birth in Christ will show the signs of the nature and disposition of Christ in us as we grow in our relationship with Him. The love of God, by which He brings regeneration, is the same love that keeps us, and continues to grow in and through us. The love that is spread abroad in our hearts is the love by which we love Him and others. We could not love God and others before this new birth. 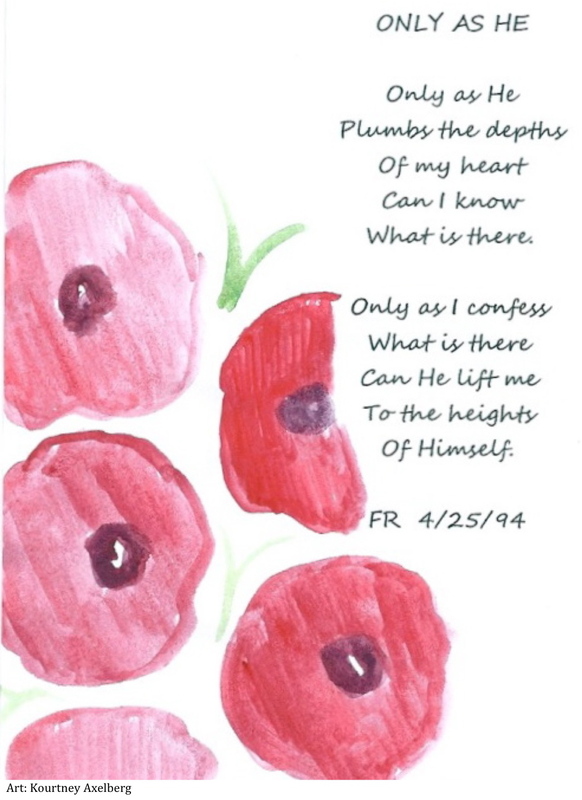 John speaks plainly in his letters of this love. Love takes on a different meaning in our new birth. Love for the things of God displace our love for the world. Some Christians say that they cannot tell you the day or time of their new birth; but, they know that their life was changed; that as God brought them in faith and repentance to Christ He has kept them by His power to persevere and to be victorious over sin. They have not turned back, but have continued to walk with Him and to grow in their relationship with Him. A newborn infant cannot in this life rejoice in the experience of its physical birth; neither can it at any time remember that day or time. 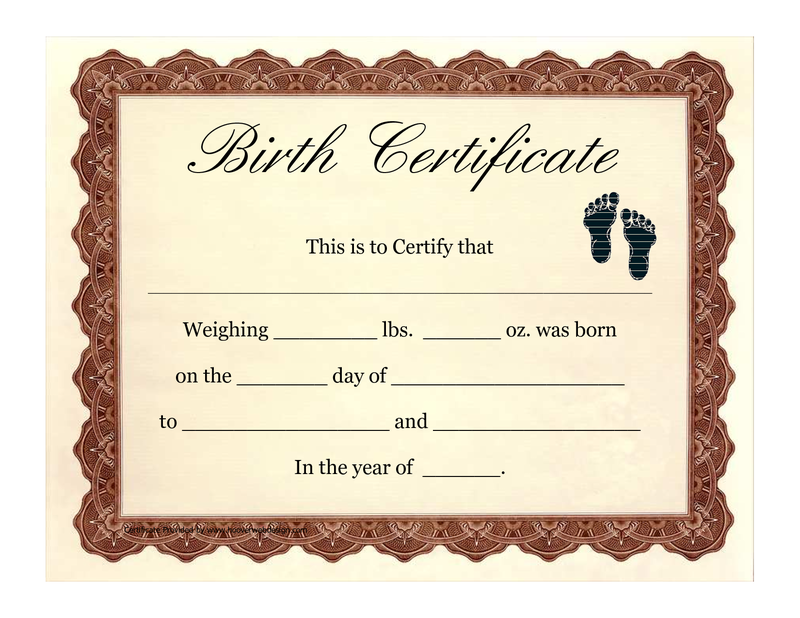 The record of a baby’s birth is filed in the county and country in which it is born. The parents and others who love this child will remember its birth in years to come. When we read and study the third chapter of John we come upon truth that was spoken by Jesus Christ to one who knew the law, who taught the Scriptures from the Old Testament, yet he was no better off than the newborn infant. We are born blind and cannot see spiritual things. We cannot understand this life, nor any that is to come. We are deaf and helpless to know the things of God. We do not understand truth because it comes from God only through the revelation of His Son, Jesus Christ. In truth, we enter this world under the sentence of death. When Jesus prefaced His statements with the words truly, truly (verily, verily, in the KJV), He was bringing attention to the truth that followed, though Nicodemus could not understand it; and he had been brought up with the Law and the Prophets. He knew of Ezekiel 36:26 where God promised to take away the stony heart and replace it with a heart of flesh. and they shall be my people” (8:10). When He puts within us the new heart and spirit He has a new tablet on which to write and record His law and promises, so that they will not be forgotten, and through which His Spirit can speak and work the truth. We are given new eyes to see the kingdom of God and to live in light of His truth. We have His Spirit that brings us into His kingdom, so that we may live in proclamation of our new birth. Their faith was not a saving faith, (the power of the new birth). They were still blind to the truth that was in Jesus. They would know the truth and be set free from their blindness and the power of sin if they continued in the truth that Jesus was speaking to them. We cannot have true faith in something we do not know. We cannot truly know Jesus Christ, who came to bear witness of the truth unless we continue in God’s Word. He has graciously provided and preserved the truth through The Holy Bible for centuries for us to know the truth; for those who are His people to be set free from blindness and sin; that they may see and enter into the glory of His kingdom. If we continue in God’s Word the Spirit of truth will convict us of our sin, enable us to see our blindness, our helplessness; and the need for salvation. The power of the gospel will work in this new heart and spirit for our regeneration; so that we are enabled in faith to turn in repentance from our darkness and the old life of sin and misery, to Christ. We cannot speak of new birth ~ a spiritual birth that is wrought in the hearts of men ~ as a work that man can claim as any of his own. Just as we cannot conceive or birth ourselves to this human life, neither can we conceive of a new life spiritually. It must be a supernatural act of God and only in God’s power. Just as the first creation was by God’s Word only so is the new creation in us. But, more importantly, we must see it as an act of God’s love. It is a father whose seed is planted that sires a natural child. It is the heavenly Father who plants the seed of His own Word, His divine word of Christ into the hearts of His own children. Let’s look at this work of His own love working through His Word and Spirit to produce this new birth. “In this was manifested the love of God toward us, because that God sent his only begotten Son into the world, that we might live through him. We continue in His Word that has given us new life. The same word and power that gives us new life is the same truth that sustains us and enables us to grow and mature. From our justification in Christ we continue in sanctification until we are fully glorified in the day of redemption. Unlike our physical birth, the experience of our new birth is something that we cannot forget, but we continue to speak of it. It is the beginning of being set apart for Him for sanctification; and His witness through us of the proclamation of His kingdom here on earth. Through our witness God brings others to His Word and freedom in the truth of Christ. Those who love us, others who are born of His Spirit, rejoice with us. We love to hear their experiences of new life and living by the Spirit. We rejoice together and worship the heavenly Father who desired us and sired us through His Spirit and His Word. He keeps us and teaches us, in and of His kingdom here, preparing us to share His glory in eternity.